Multi-colored cartoon unicorn wall decals for your baby girl’s room. 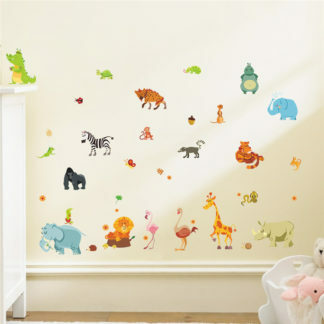 These nursery wall decals splash happiness over your walls. 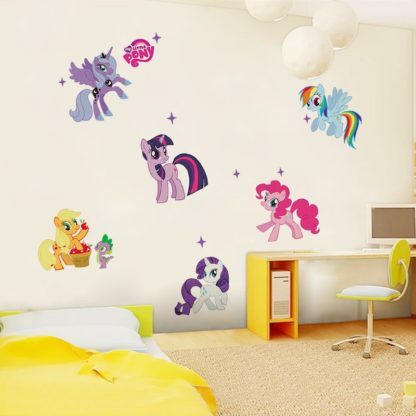 Your little girl is sure to like. Can also be used in schools, events or similar places. Order Now! 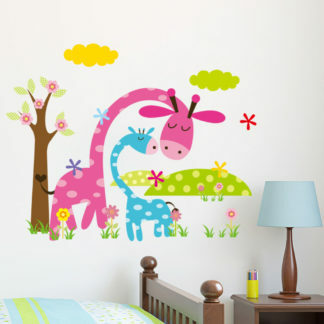 View these spellbinding nursery wall decals for your baby girl. These removable stickers feature cartoon unicorns playing with each other. 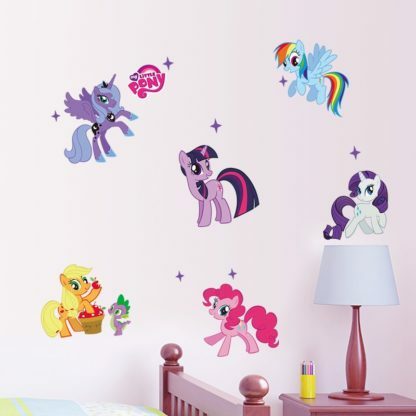 A cute display on the wall of your cute little princess. The unicorns are multi colored, offering a colorful display to your walls. 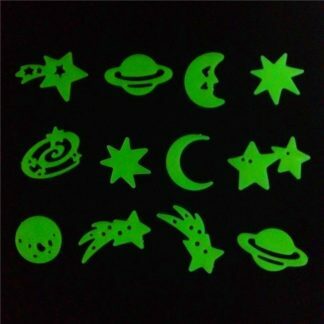 Made up from PVC and vinyl, these stickers are removable. 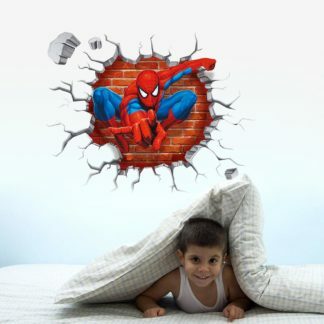 The size of the package delivered is 50 x 70 cm whereas the finished size of the decal on your wall is 104 x 59 cm.